^ 美國聯邦公法第106–26號, accessed 13 November 2011. The quoted passages can be seen by clicking through to the text or PDF. 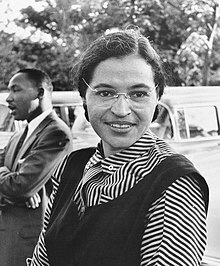 ^ Rosa Parks Interview 互联网档案馆的存檔，存档日期2011-10-04. (video and text of interview), Academy of Achievement, 2 June 1995, accessed 13 November 2011. 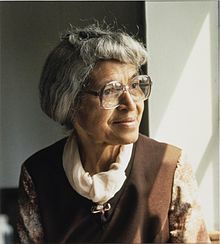 ^ "Editorial: Rosa Parks' legacy: non-violent power" 互联网档案馆的存檔，存档日期2009-07-15., Madison Daily Leader, 1 October 2005. Accessed 13 November 2011. 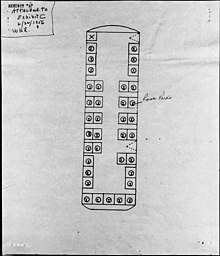 ^ Happy Birthday, Rosa Parks! 互联网档案馆的存檔，存档日期2009-08-17. by Ilena Rosenthal, Women's eNews, February 4, 2003 (retrieved on February 2, 2009).